Nineteen adventurers mounted their bikes and tackled the iconic Mangapurua Track as part of the Whanganui Summer Programme recently. 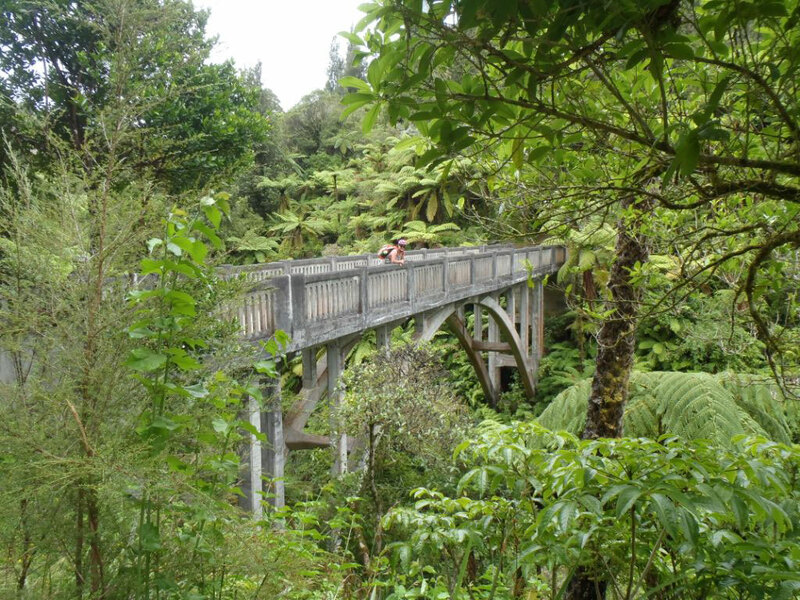 The Grade 3 (intermediate) cycle trail, takes you to the iconic Bridge To Nowhere, and is an increasingly popular central north island adventure ride. Our trip was led by DOC staff and began in Raetihi, where the cyclists—few of whom had ridden the track before—met and were transported to the start of the track. The first 4 km was a steady uphill climb, granny gears selected and our legs feeling the heat. A breathtaking view back over the valley we had just climbed made it worth the effort. Travelling on past farmland and into Whanganui National Park, the surrounds grew lush and the shade was welcomed. We climbed up to the Mangapurua trig (the highest point on the track) with a slight drizzle cooling us as we stopped for lunch. From the trig it was a steady downhill ride. The fun began as we speed through a wonderful section of native forest, towards our first swing bridge. After about six hours of riding—taking time to marvel at (and traverse) steep clay bluffs, enjoy the views, and learn about the historic settler sites we pass—we arrive at the Bridge to Nowhere. The large concrete bridge, completed in 1936, now stands abandoned in bush literally in the middle of nowhere. By the time the bridge was constructed, the lower valley had been abandoned by the settlers. A further 3 km of easy riding brought us to Mangapurua Landing, where the track meets the Whanganui River. A jet boat shuttle service awaited us at the Mangapurura Landing (essential to the logistics of the ride) and took us and our bikes down to Pipiriki. A shuttle back to Raetihi completed our amazing day. Everyone enjoyed the scenery and spectacular views. The track was great and it was excellent to have so many people along to enjoy the day. 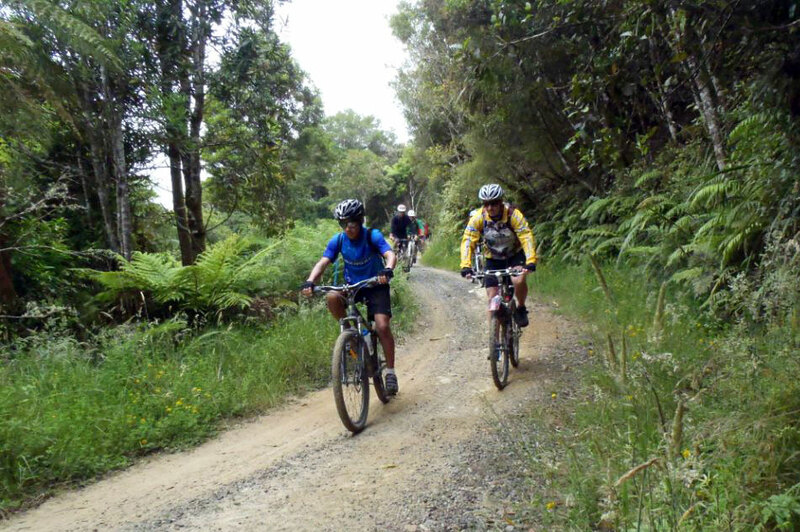 The Mangapurua track is a 36 km section of the Mountains to Sea cycle trail, going from the Ruatiti road end to the Mangapurua Landing on the Whanganui River. It looks amazing – another for our “to do” list.